Could you be one of our Hotel Champions? As a key member of our team, you’ll be there to settle our guests into their stay or visit to the Hotel. You’ll be a welcoming, friendly face after a long journey, putting guests instantly at ease whatever the time of day. We have exciting opportunities available for motivated individuals who have the drive and personality to succeed. Our roles give you the opportunity to work at a great hotel, to meet people from all walks of life – and to make a real difference to someone’s day. We follow a safer recruitment process, with an Enhanced DBS check and two suitable references required. 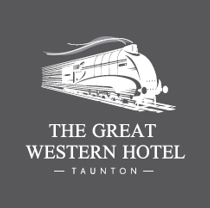 Responsibilities will include: The effective running of the Kitchen and food service at Great Western Hotel. To assist the Executive Chef in delivery of high quality food service for customers at the hotel, conference and office facilities. Ensure stock management and ensure effective use of local produce. Abide by all Executive Chef and EHO guidance.